Parents of pre-schoolers and school aged kids in Melbourne's Eastern suburbs have lucked out this winter. 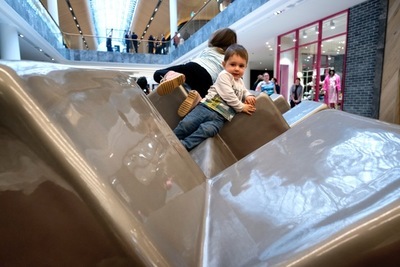 Eastland newest segment of its modernised shopping mall has incorporated innovative play areas for little folk to enjoy. What this means to you as a visitor to Eastland, is two things. First, you'll be able to fulfill all of your shopping needs under one roof, plus, you can bribe the kids with some serious playtime in one of the many dedicated zones. 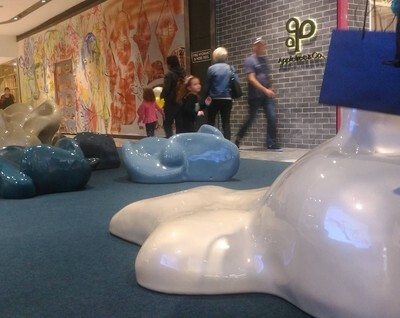 Where sculpture meets fun, the PLAYTIME SoftPlay areas are not only pleasing to the eye, but are designed for your children to create their own play. SoftPlay areas are sturdy, safe and proven to be effective against the spread of bacteria and fungi for those who come into contact with them. 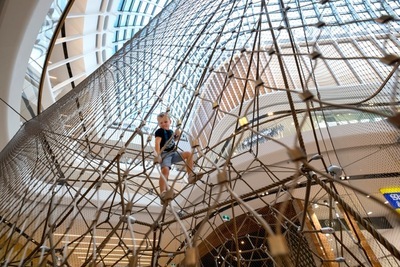 •	Climbing Net: Young climbers age 5 plus are encouraged to climb an impressive net structure contained by a steel mash. The net is designed to ensure the highest safety standards have been met. 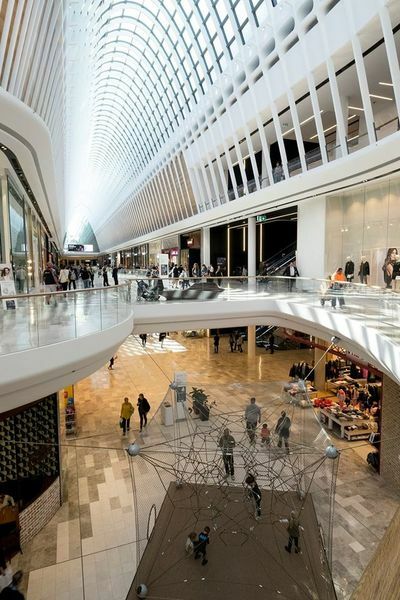 •	Digital Water Curtain: The first of it’s kind within any shopping centre within Australia, the digital water curtain, found in the Link Mall, sends words and patterns down a cascading flow of water. This interactive display incorporates state-of-the-art technology with playtime, ready for your visiting children to enjoy. •	Slide: The installation of a stainless steel slide will connect the car park to the Town Square for a fun family activity. Eastland Shopping Centre, has been described as "The shopping centre, for those that don't like shopping centres", and it's easy to see why. It isn't all about shopping (although if you do visit, you will find just about every retail store you can think of) at Eastland, there is a strong community focus within and around the mall. Eastland's Town Square for example, sees alfresco dining, surrounded by greenery, which seconds as a growing herb garden used by the centre's eateries. There are regular Farmer's Markets held in the Square, and other community focused events such as the very special LIVE broadcast of Vision Australia's Carols by Candlelight broadcast last Christmas Eve. 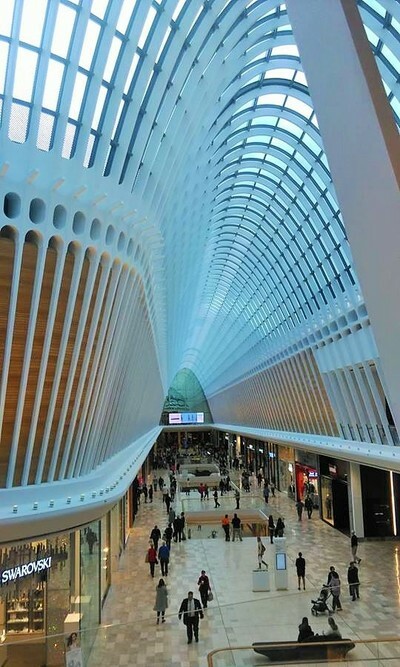 Eastland's shopping mall sees architecturally designed domes beaming natural light into wide open spaces. There's Hoyts cinema on the upper level, and plenty of eating spots to feed hungry bellies. Winter seems much brighter in the East, with Eastland's new shopping mall design now completely open to the public. Check it out for yourself, open every day of the week, with late night shopping on Thursday and Fridays.